You're lucky, he's lucky, I'm lucky, we're all lucky! 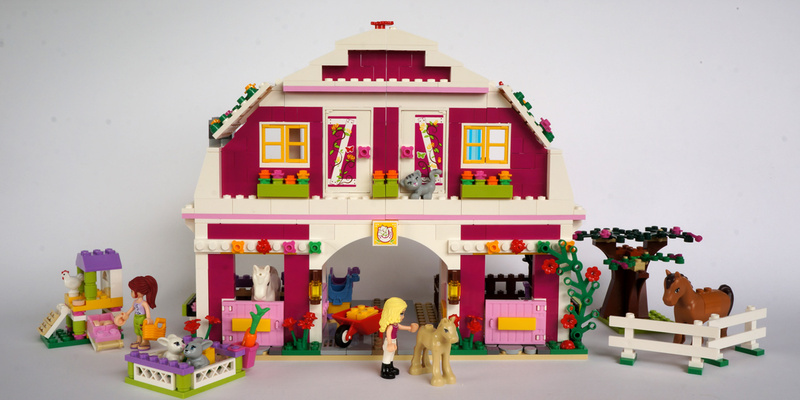 The largest set in Friends' winter 2014 range with over 700 pieces, 41039 Sunshine Ranch has some exciting basic new parts, plus some useful new elements (by which I mean existing parts in new colours). I settled down this Easter to build it and play with the new parts. Unfortunately the instructions and sticker sheet don't come in a bag with cardboard insert, which surprised me for a set of this size. So mine were all bent. Unusually for me, I actually applied most of the stickers - wherever the parts were common enough in my collection. So. ANIMALLLLLS. This ranch is loaded with them, and they all appear on the first step of the instructions; two horses, a foal, two bunnies, a chicken and a cat. None of the animals are new parts, but there are a couple of new colours. One horse is Medium Dark Flesh [BL]/Medium Nougat [TLG] (Element ID 6091702 | Design ID 93085) but if you're not excited by Friends horses, there are of course the matching parts that fill the hole in its back: a 2X2 semicircular brick (Element ID 6056384 | Design ID 30165) which is new to Medium Nougat, and a 2X2 plate (Element ID 6056383 | Design ID 3022) which also appears in TMNT 79121 Turtle Sub Undersea Chase . The foal is Tan [BL]/Brick Yellow [TLG] (Element ID 6056393 | Design ID 15942) which we've only had in White previously - in 41003 Olivia Newborn Foal . 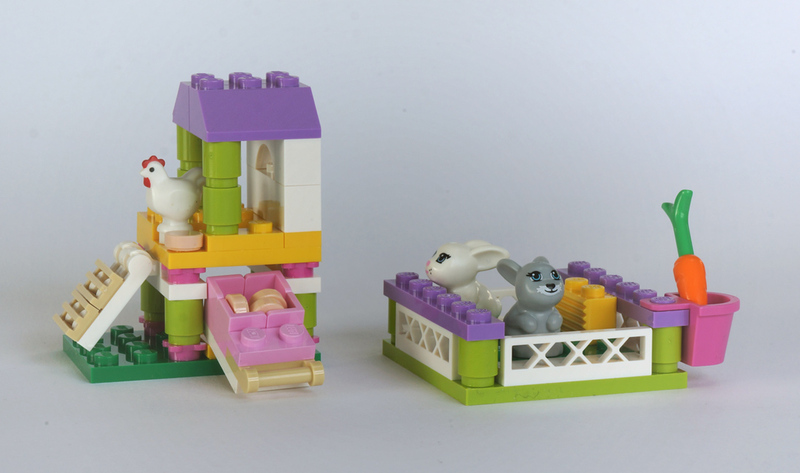 Bag #1 deals with the small builds to accompany the main building, including a simple but adorable bunny pen. Better yet is the chicken coop; despite being only 4X4 in dimensions, it has a split level arrangement with a hole in the top floor for eggs to drop into a basket waiting below. The eggs in this case are 1X1 round tiles in the highly unusual colour of Light Flesh [BL]/Light Nougat [TLG] (Element ID 6056616 | Design ID 98138), which hitherto has only been used for the skin of people and animals. 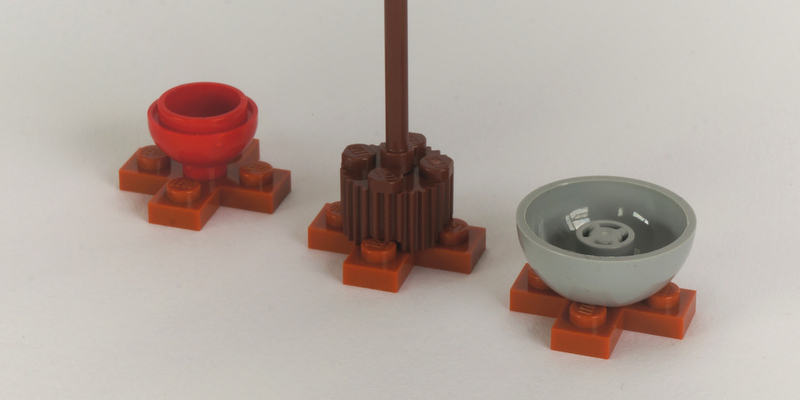 I recently wrote about the presence of darker shades of Nougat appearing in 2014 bricks and plates; similarly these Light Nougat tiles are a very interesting break from tradition. It was a great decision - it's the perfect colour for an egg. At this point it struck me how appropriate my choice of set for Easter was! Next we move onto a small stout tree. Trees never seem to be very interesting affairs in Friends sets, partially thanks to the challenges of keeping the half-arches that make the branches suitably stable in a build. But a couple of additions this time made this a very interesting tree as far as I was concerned. Firstly, rather than the usual 1X4X5 half-arch, it uses the 1X3X3 Gothic half-arch in Reddish Brown (Element ID 6055086 | Design ID 13965). This isn't new, having been used last year in the tree in The Hobbit 79012 Mirkwood Elf Army . But it was news to me, and is a terribly useful tree-making part. One of the irritations of the traditional 1X4X5 half-arch is that it is so large, you very quickly end up with a huge tree. 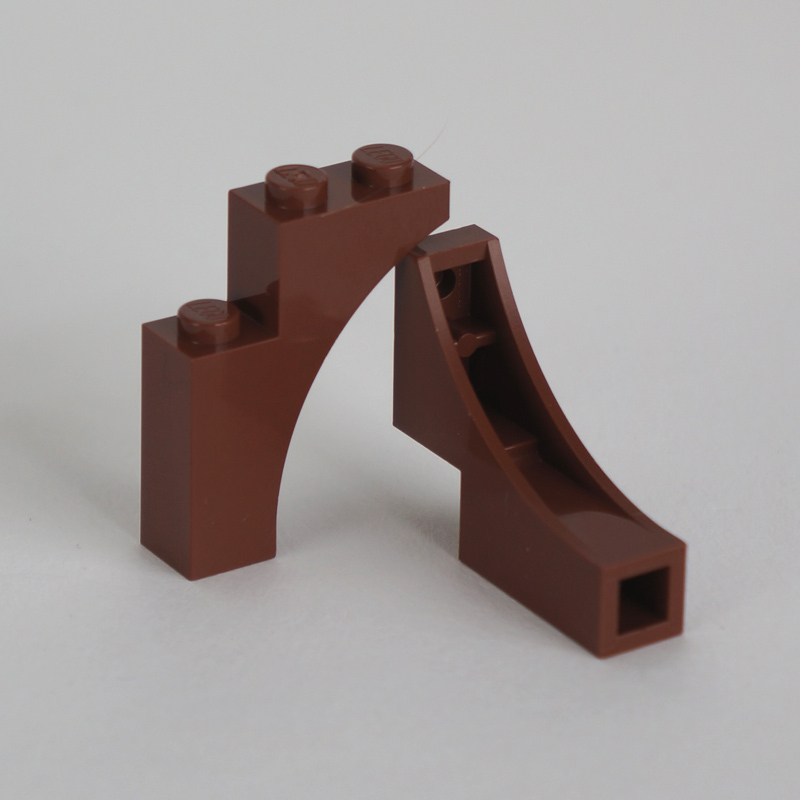 The new Gothic half-arch is of course smaller and adds much-needed variety if you use it in conjunction with the 1X4X5, as is the case in 41026 Sunshine Harvest . Secondly, there's a very interesting new part used; the 3X3 'cross' plate. It really appeals to me visually, and has many decorative uses, but of course it's primarily a functional piece. 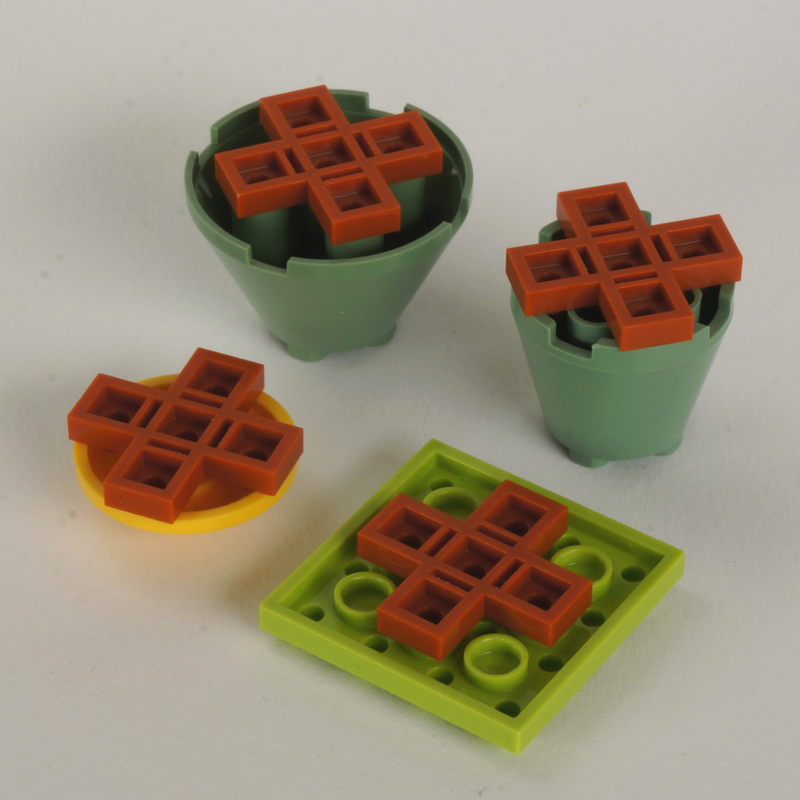 It is also good to use as a decorative and stable base for these parts. In fact there are several parts with which it fits underneath in an interesting and potentially useful way - I'm especially pleased about the 3X3 dish. The way it is used in Sunshine Ranch's tree is a simple solution to a particular problem. Us grown up fans are adept at handling the strange shape of half-arches and are happy for our finished trees to be relatively weak structures, but in official sets they need to be robust and simple to build with. The cross plate allows for four half-arches projecting in different directions to all get securely locked together with just a single height of plate. This keeps the central part of the tree lower than the branches, which is critical for a realistic look. Plus it avoids the often complex criss-crossing of bricks or plates needed to properly secure the stepped sides of half-arches, which can make for a fiddly build and becomes particularly bulky when half-arches have been placed at different heights to achieve an organic look. Here I show a (very unorganic) symmetrical tree to illustrate the point, and on the right is the Sunshine Ranch tree (with leaves removed for clarity). The most puzzling thing to me about this cross plate is that it comes in Dark Orange (Element ID 6062215 | Design ID 15397) in this set, as well as in the tree of Sunshine Harvest. Why not Reddish Brown to match the trunk? Perhaps it's something to do with colour differentiation for ease of building? Trivia: a similar part was made in 1979, apparently as a fundraising badge for the Swiss Red Cross, but it had a protrusion with a hole for thread or a pin. 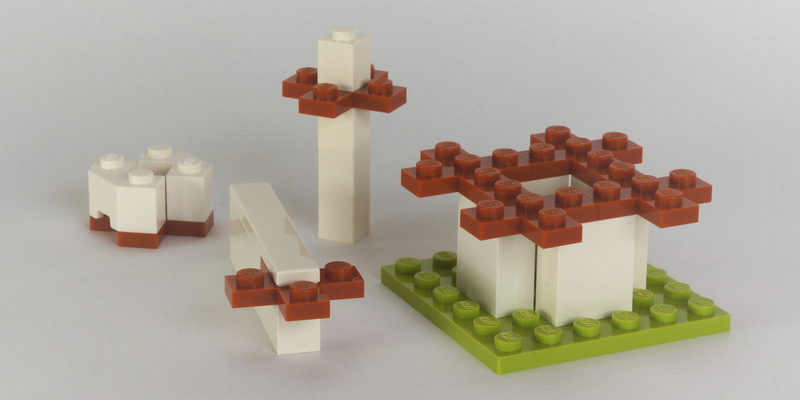 All I know of this part is the BrickLink entry... does anyone know any more about it, or own one? One final point regarding the cross plate: avoid sticking two together! They're a right pain to get apart... a brick separator cannot get enough hold. On to bag #2, which constructs a corner of a stable on the ground floor of the ranch. We start stacking quite a few 1X1 bricks here, which is very pleasant because these are Magenta [BL]/Bright Reddish-Violet [TLG] 1X1 bricks, new for 2014! As I discussed recently, these appear in four sets already, but Sunshine Ranch trumps those by having 40 of them. 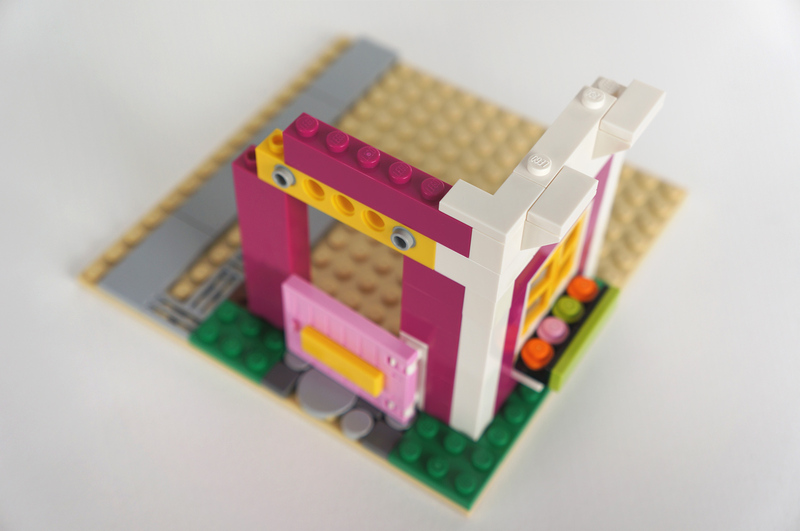 Given it is the primary colour of the model, we may as well cover the other Magenta bricks in the set. 1X2s are common now in Magenta, but it's great to get 20 of them here. The 1X2X5 is new in this colour; there are four in this set and two in 41029 Stephanie's New Born Lamb . 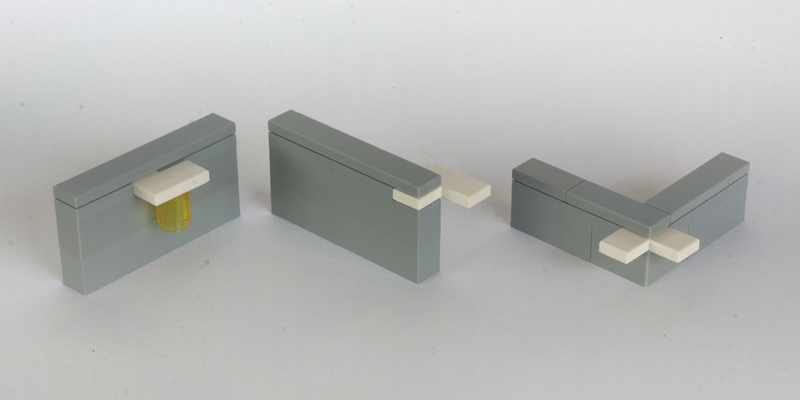 The 1X4 brick isn't new, but may as well be... it only ever appeared in one set, Belville 7577 Winter Wonder Palace in 2006, in a quantity of one! 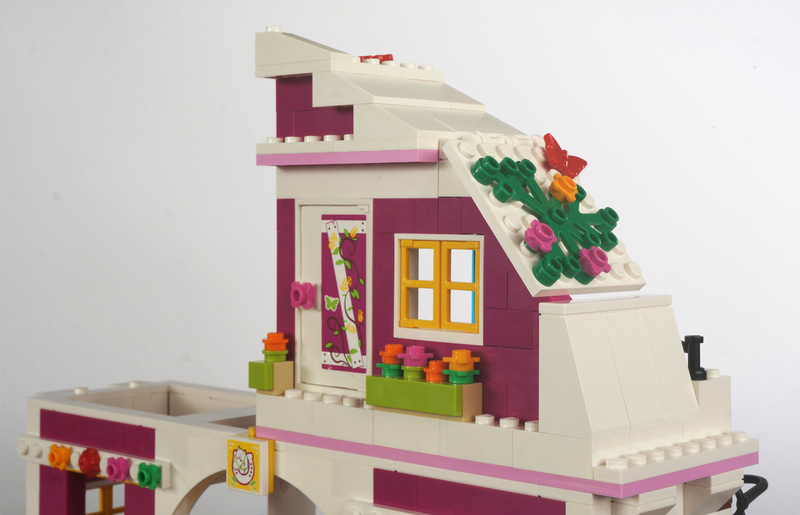 Sunshine Ranch has eight and you'll also find two in 40114 LEGO® Friends Buildable Jewelry Box . The 1X6 also makes a welcome return, although that was a little more common having appeared in three sets from 2004-6. There are twelve in this set, two in Stephanie's New Born Lamb and ten in the Buildable Jewelry Box. The final Magenta brick in Sunshine Ranch is the 1X2 45° slope, of which there are six. It appears in seven other sets. Our second exciting new part appears towards the end of this bag; the corner tile (6058329 14719), which also appears in 71006 The Simpsons" House . Like the cross plate, it's a part that may feel like an unnecessary luxury at first, but once again there are things you can only achieve with the corner tile. I couldn't think of many though, and they're not terribly useful! I think it will prove useful as a decorative piece... perhaps as the arrowhead on a large sign? It made me think of parquet flooring, even though in reality that effect is achieved with straight pieces. Like the cross plate, the greatest benefit of the corner tile is strength, and this is why it is used in Sunshine Ranch. 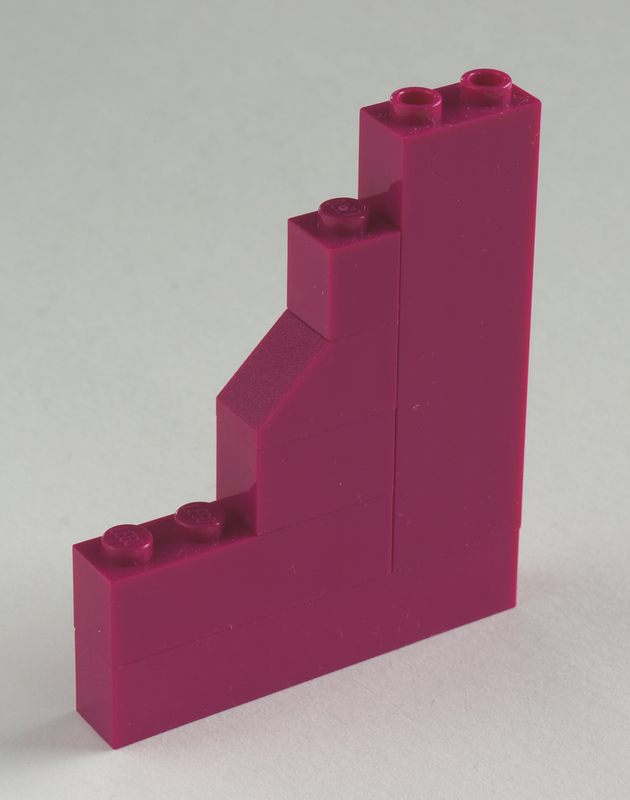 Just as with corner bricks and plates, using a corner tile on the corner of a 1x wall is more stable than using two straight tiles. 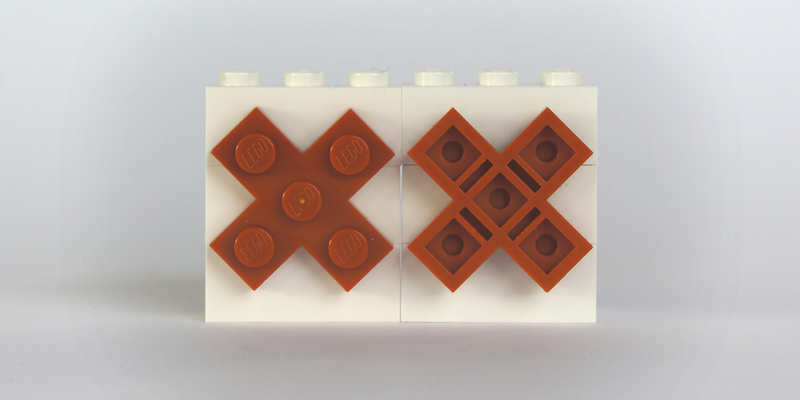 Trivia: this isn't the first 2X2 corner tile The LEGO Group have produced. One which had a rounded inner corner was created in 1980 for the original Scala line of buildable jewelry. A beautiful part with some lovely prints, but I've never been prepared to pay those secondhand market prices for one! Unexpectedly, bag #3 abandons the incomplete corner wall we've just made and sets about constructing the mirror image of it on a new plate. By the end of the bag, the two plates are joined and bag #4 carries on by creating smaller interior items. There's a rather odd chair with a lot of gaps in it that you feel should be weak, but it isn't. 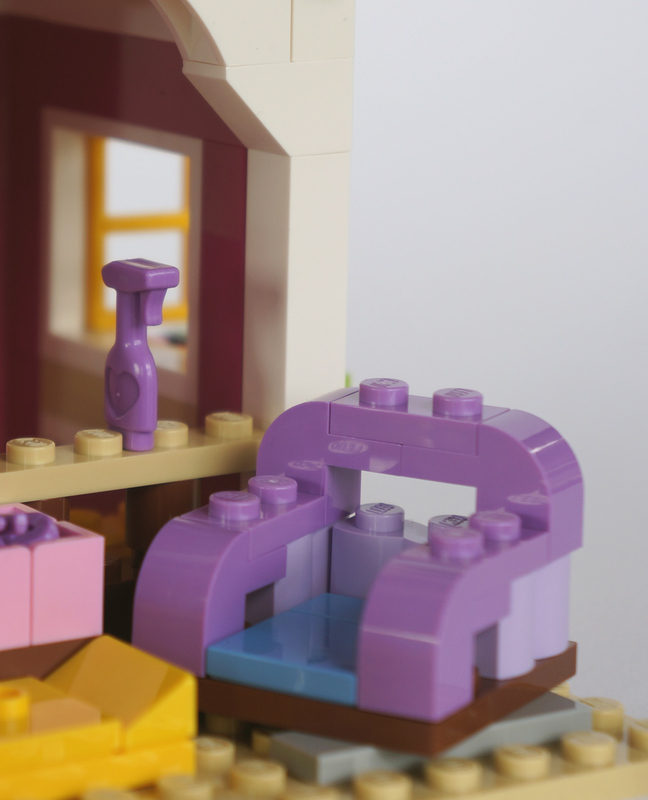 It contains 1X2 log bricks in Lavender (Element ID 6056283 | Design ID 30136), which so far have only appeared in 41042 Tiger's Beautiful Temple . Also, I learnt something about the spray bottle accessory which I never noticed; it can be inserted in between two studs. Decorations complete, we resume construction of the building by adding some nice big arches and neat lanterns made using the 1X1 brick with vertical bar. Bag #4/book #1 finishes with a trail of ivy climbing up the front, which is fastened at the base by another wonderfully useful element: the 1X1 brick with a stud on the side, in Dark Green [BL]/Earth Green [TLG] for the very first time (Element ID 6055222 | Design ID 87087). Book #2 moves upstairs, with bags #5 and #6 each making a room occupying half of the floor - a bedroom and a kitchen. These rooms are lovely constructions with walls varying in width between two and one studs, and lots of slope action creating a room shape that's close to a quadrant. One section of the sloped roof flips up for access, and there are some slightly odd doors at the front. These lead nowhere... "it's a Health and Safety nightmare"... and are largely blocked off by furniture inside. They're also placed a brick higher than the interior floor level. However they have stickers on the outside to make them look like barn doors... so they're more like large shutters... perhaps the idea is that this is a loft conversion and the doors originally had a practical purpose such as bringing goods in that had been winched up. The bed has a sweet chequered pattern and there's also an ensuite - as what large Friends set would be complete without a toilet? This one uses the new 2X2 inverted dome for the toilet bowl. Like 41015 Dolphin Cruiser , there's a distinct lack of privacy - even the column separating the ensuite is transparent - but given this ensuite is in a private room, it's less curious than Dolphin Cruiser. Remarkably, they've fitted a shower in there as well - I must hire these designers when I renovate my bathroom. The kitchen is standard fare, although it's nice to get another red apple and more of those new cookie 1X1 round tiles. The shape of the roof even allows for a tiny amount of attic space in the design which is cute. Like all Friends sets, especially the large ones, Sunshine Ranch packs in loads of detail and engaging play scenarios - horse-related, farm-related and luxury-barn-conversion-related. 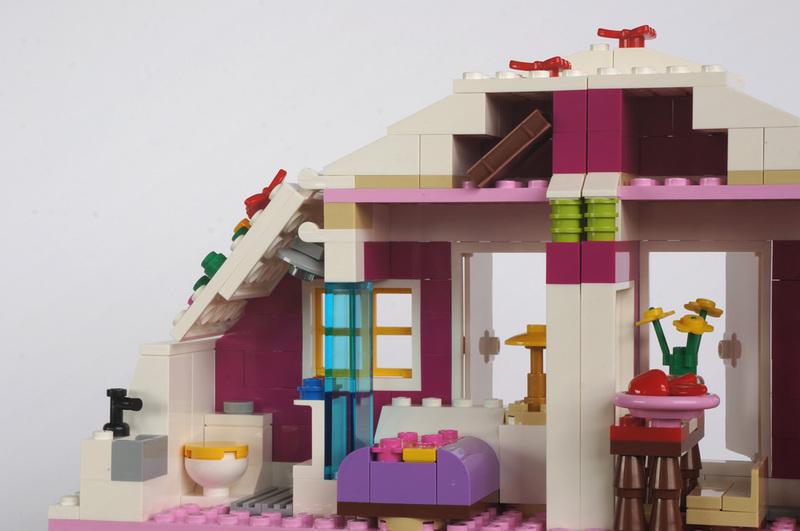 It's yet another excellent build from the Friends range that once again combats the misconception that construction has been dumbed-down for girls. My only structural complaint is that the upper rooms detach too easily, with only three studs holding each in place. The modular nature of the rooms is put to less use in this set than in the wonderful 41005 Heartlake High , where you could completely rearrange the shape of the building. With Sunshine Ranch, the two rooms of the upper floor are detachable purely so that the stables on the ground floor can be easily accessed. Whilst it is possible to swap the positions of the two upper rooms, that just looks ridiculous. Which brings me to my favourite aspect to the set - the impressive shape of the building. 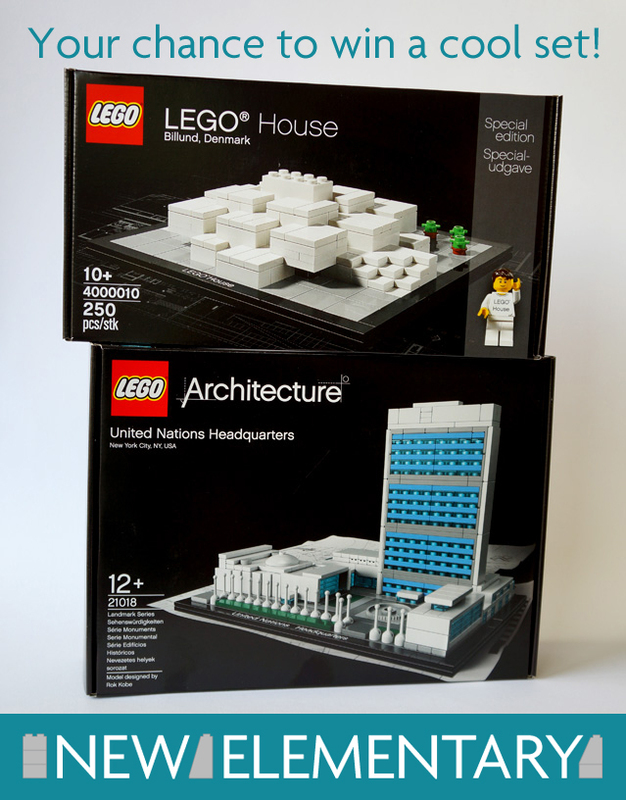 Modularity has been nobly sacrificed in the name of beauty: the curved rooves and use of arches is stunning, and quite unusual for an official set. I'm guessing it's no coincidence that the overall shape resembles a giant horseshoe - albeit an unlucky one, as it's pointing downwards! But don't let that put you off. It's a great set for anyone into horse/farm scenes, or lovers of Magenta. And the new parts and elements will definitely find use in your other builds. 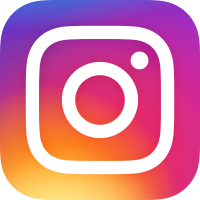 The design is, indeed, based on the classic red American barn, which is archetypal in the US, but possibly less familiar to those elsewhere. Google on "American barn", "Australian barn", and "English barn", and you will see that 90% of the American ones are red, with a multi-sloped roof, big doors in the middle on the first floor, and smaller doors above them. I'm waiting on those corner tiles in medium gray so I can swap them for the 4 1x1/1x2 tile combinations I currently have in my Iron Man's Lab build. Great article, minor typi here: "but I've ever been prepared to pay those secondhand market prices for one!" Excellent review as always. I sometimes really wish I had the budget for some of these amazing sets. 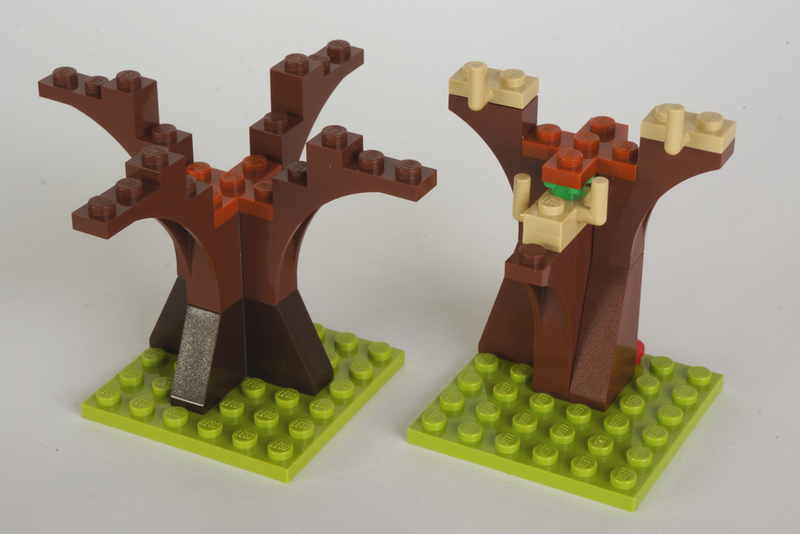 Also, there seems to be a typo in the beginning of your Gothic Arches section: "Trees never seem to ___ very interesting affairs in Friends sets,"
According to LDD, the corner tile will sooner or later show up in red and light bley.